I know, it’s only November, but the leaves are falling and there is a hint of Noel and Weihnachten in the air….and the usual dilemma of what to get people for x-mas. Much easier to put your own wishes on Santa’s list. Well, and as we all know, Santa lives in the North, why not make his trip easier and head up there for some x-mas shopping. Boots – tick, winter coat – tick, scarf and hat – tick….and we’re off! You are in for a real treat, a one-stop “make all your jewellery dreams come true” heaven! Since 1996 this leading contemporary jewellery gallery has been set within Salts Mill, home to the world’s largest collection of work by David Hockney. Open daily, it specialises solely in contemporary jewellery, silver and metal smithing showcasing diverse collections by over seventy renowned designers and emerging talents from Britain and abroad. Kath, passionate about art and jewellery as she is, seems to never stop and organizes a number of major exhibitions each year, playing an important role in showcasing the very best of British and international talent in Yorkshire and the UK. KLJ is also well known for its popular Annual Alternative Wedding Show, now in its 10th year. Alongside collections of wedding and engagement jewellery that is on display all year round at the gallery, this show features the newest most distinctive individually designed and handcrafted rings and other bridal jewellery and tiaras. All can be created in silver, gold or platinum and set with stones of your choice. Of course, the groom isn’t left out, a wide range of rings for men, as well as cufflinks is available too. 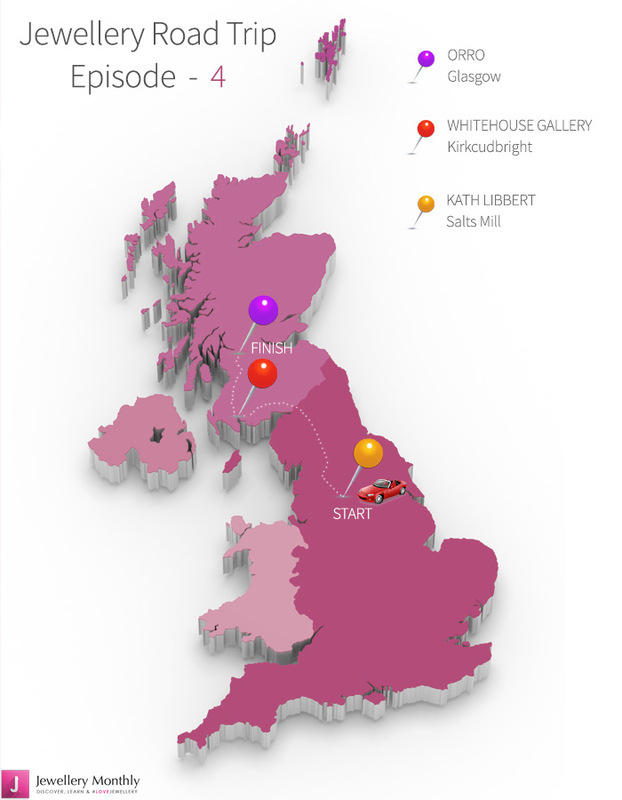 Established at Salts Mill in 1996, the Kath Libbert Jewellery Gallery has one of Yorkshire’s largest and most distinctive collections of contemporary precious jewellery, all due to Kath, who seems to have an instinct for finding exciting designers and what is right for her gallery. A personalised design service addressing the current trend for working heirloom jewels into contemporary designs by specially featuring jewellers who will accept commissions and create bespoke pieces for the gallery’s clients. Kath Libbert, ‘We bring together the skills and design talent of a select group of very prestigious jewellers who are happy to breathe new life into pieces that have perhaps been languishing just waiting to be transformed into something fabulous.’ So, ladies, have a good rummage through your jewellery box! Kath Libbert truly offers something special, innovative and exciting throughout the year, complemented by major exhibitions, often featuring top International designers as well as the cream of British talent. Unleashing youthful energy, fresh ideas and innovative creations, Kath Libbert Jewellery Gallery is delighted to introduce Nine New Graduates. Technology meets art meets jewellery in this amazing collection that includes Smart Materials colour changing jewellery; Fill Your Own bright yellow Skip Brooches; kinetic gemstone rings; tough titaniumHighland Clan Thistle Brooches;Wired Wearables – dramatic neckpieces and bangles drawn in steel – just a few of the visual treats created by this year’s New Wave! For lovers of all things sparkly, indulgent and just yummy there is SPARKLE – a sumptuous Christmas showcase. Salts Mill is a magnificent Victorian textile mill in the centre of Saltaire,. Along with Kath Libbert Jewellery Gallery, the Mill is also home to Salts Diner ….so have a glass of bubbly and a bite before heading off further north. 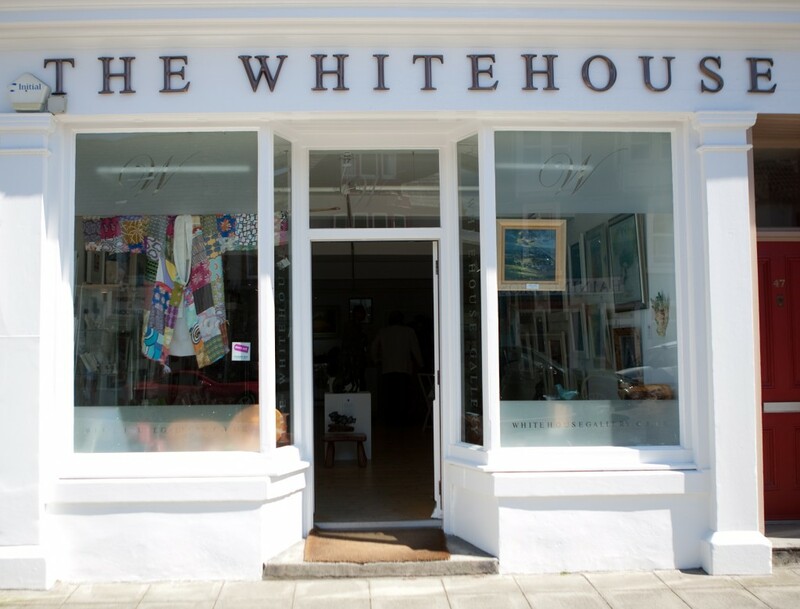 The Whitehouse Gallery is a contemporary art & craft gallery based in the historic artist’ town of Kirkcudbright, South West Scotland. Opened in 2004, it has steadily gained a solid reputation as one of the most popular art galleries in the region, showcasing top quality fine art and applied art & craft from across the UK. 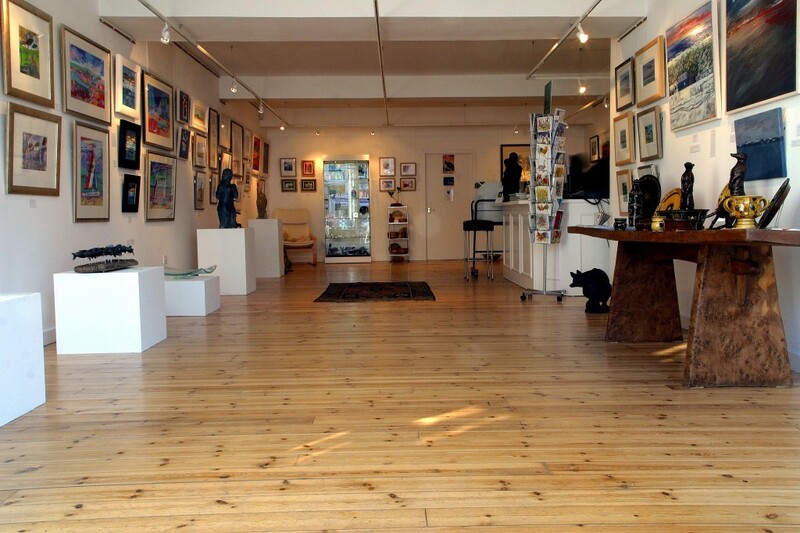 The gallery space is light and airy, with a friendly and inviting atmosphere. You might not only find something to adorn yourself with….but your home too! Although The Whitehouse Gallery celebrates local and Scottish art, they also encourage artists from across the UK to exhibit and showcase five mixed exhibitions over the year, combining up-and-coming talents with more established names. Besides paintings, The Whitehouse Gallery also exhibits sculpture, ceramics, wood & furniture, glass, baskets, silver & metalwork…… and jewellery! And this year’s x-mas showcase, a mixed exhibition featuring original works of art from some of the Whitehouse Gallery favourites alongside some new names is certainly worth a trip! I’d urge you to take the scenic route to our final stop….and ok, if you need to stock up on shortbread, whisky, salmon and irresistible Galloway Chilli Jam for your x-mas hamper, I totally understand – just don’t blame me if your waistband feels tighter! Actually, who cares…rings, necklaces, earrings still fit! I’ve taken you via the exciting and eclectic at Kath Libbert to the rural jewel of The Whitehouse Gallery …and now for something completely different. Urban and slick! ORRO was founded in a small shop in the West End of Glasgow, with the aim of promoting contemporary jewellery based on high quality of design, materials and workmanship. Within a year ORRO became the first contemporary jewellers in Scotland to be selected by the Scottish Arts Council and the Crafts Council of Great Britain. The following year German jewellery manufacturer Niessing – pioneers of innovative, modern jewellery design and inventors of the iconic Tension Ring chose ORRO to be their sole stockist in Scotland and one of an elite band of outlets in the British Isles. Once ORRO had gained Niessing’s approval, many other leading lights on the contemporary jewellery stage approached the shop to showcase their collections in Glasgow. Their international roll call of designers has included Angela Hubel, Andre Ribeiro .. and the list goes on…. In 2001 ORRO moved to new premises in Glasgow city centre; a light open space which perfectly compliments the clean lines and simple modern design of their jewellery. The atmosphere is friendly, relaxed & informal and the jewellery takes centre stage in a bright, fresh, minimalist setting. Now almost two decades since ORRO began promoting contemporary jewellery in Glasgow, they continue to bring the ultimate in modern jewellery design to their customers. Previous ArticleJewellery Fashion Colour Trends for Winter.